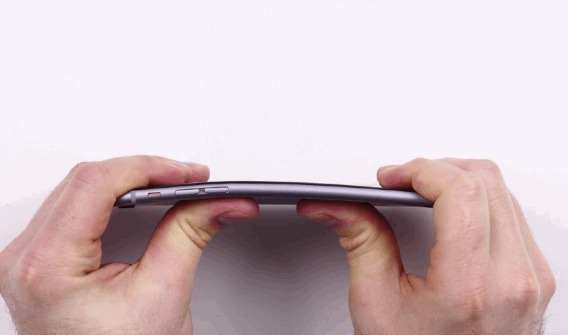 Reports of slightly bent iPhone 6 Plus began cropping up on Apple forums and social media. One of the famous forums – MacRumors member has posted a photo of his iPhone 6 Plus suggest that iPhone 6 Plus began bend after sitting in his front pants pocket during a car ride for a few hours. Photos also have shown up on the French Apple forum MacBidouille and other places across the web. A number of reports around the web suggest that the Apple iPhone 6 Plus is prone to bend under typically benign circumstances. Still, it is unclear how or why iPhones are bending inside pockets. Other tech journalists have said Apple used aluminum as its metal to the iPhone 6 Plus, which is a very soft, and bendable metal. Will you still consider buy the iPhone 6 Plus?